2. 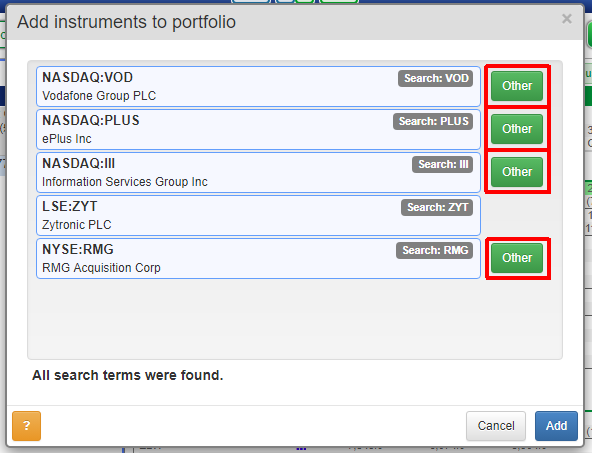 Name your new portfolio, then click OK.
3. 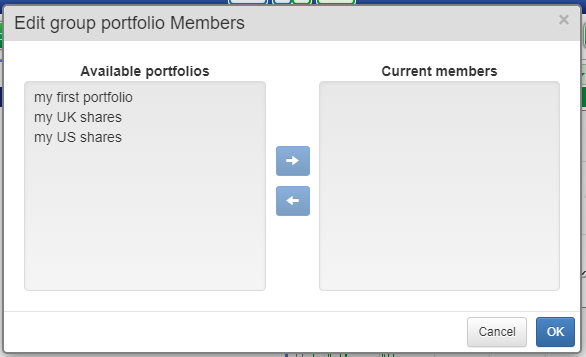 The new portfolio is an empty list because shares have not yet been added. 1. 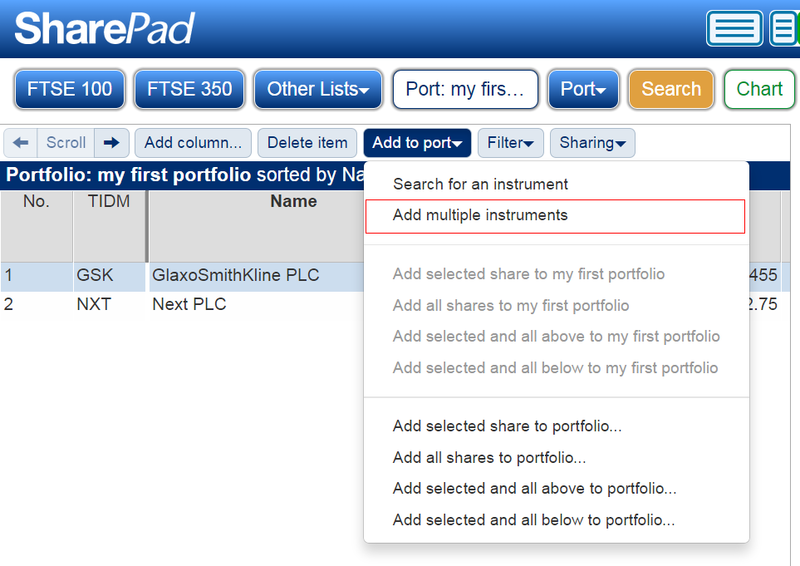 Open the Add to port menu, click on Search for an instrument. 2. 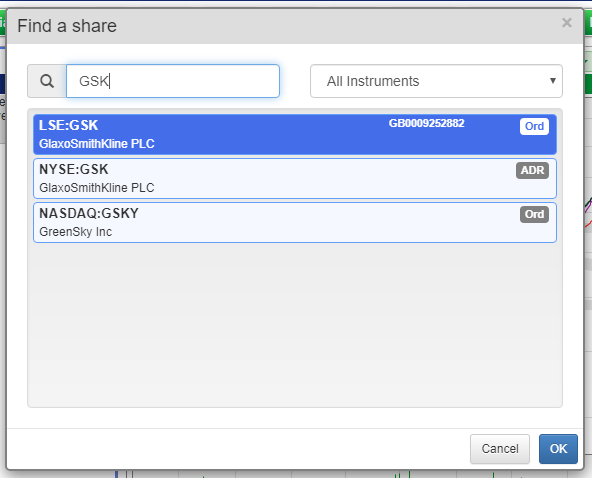 Type the name or the code of the share in the search, select the share, then click OK.
3. 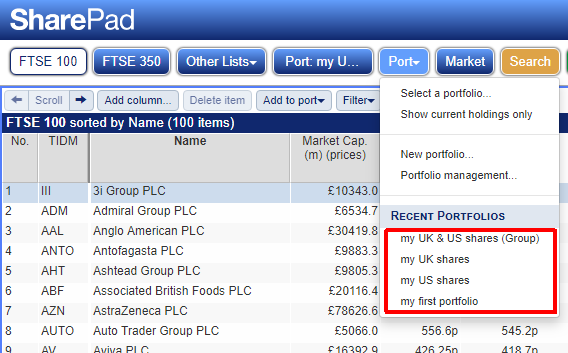 The chosen share is now listed in the portfolio. 3. 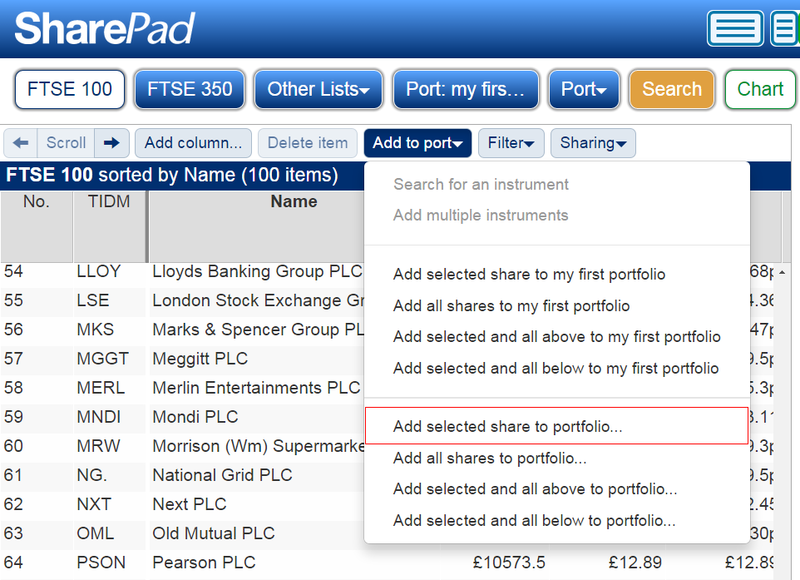 Select the portfolio you wish to add to, then click OK.
1. 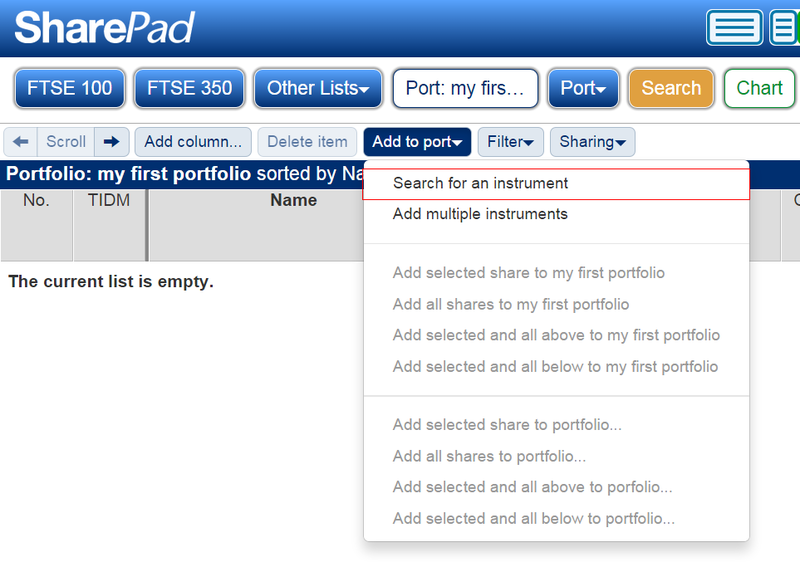 Open the Add to port menu, click on Add multiple instruments (NOTE: you must be in the portfolio). 2. 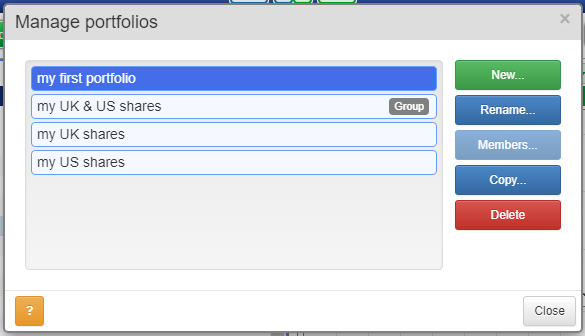 Type or paste a list of EPIC codes. You can use ISIN or SEDOL codes if you prefer. 3. The codes must be separated by a space. 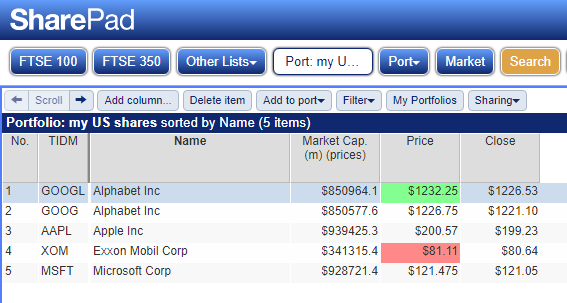 The codes can also be pasted as a list if you prefer. 4. 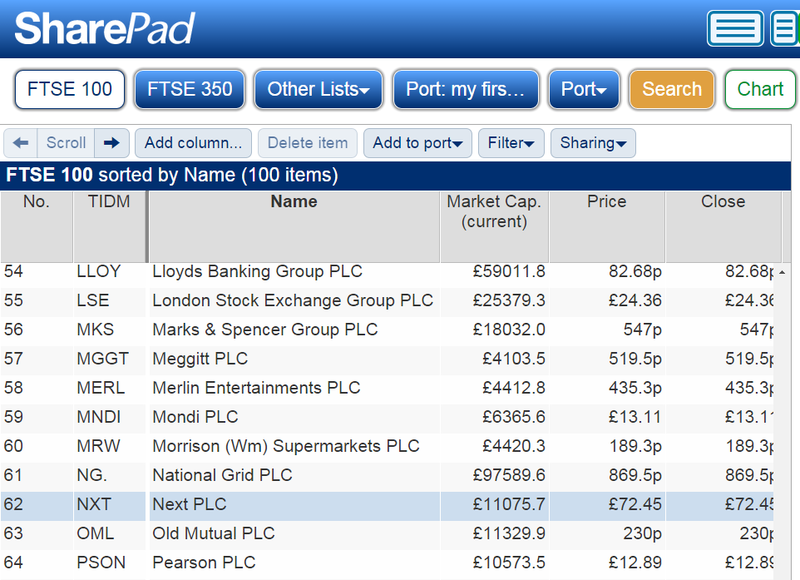 Click Look up to see a list of the shares found. 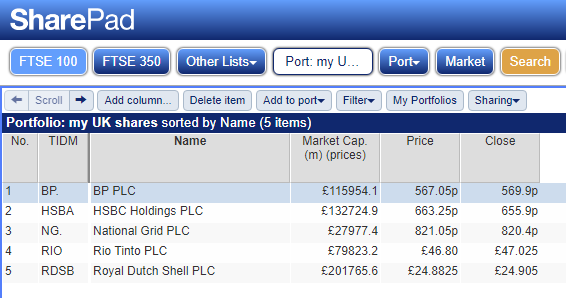 (NOTE: in this example, two or more shares have been found with the code: VOD. 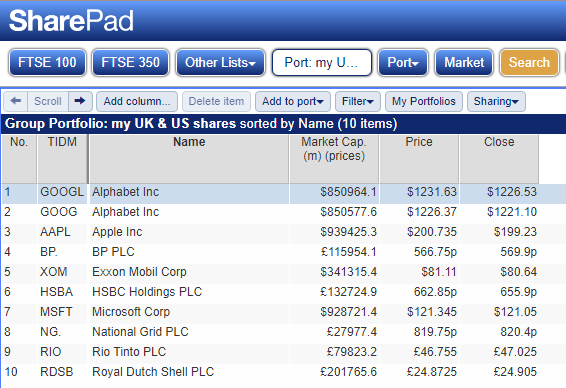 Use the Other button to switch between LSE:VOD and NASDAQ:VOD). 5. 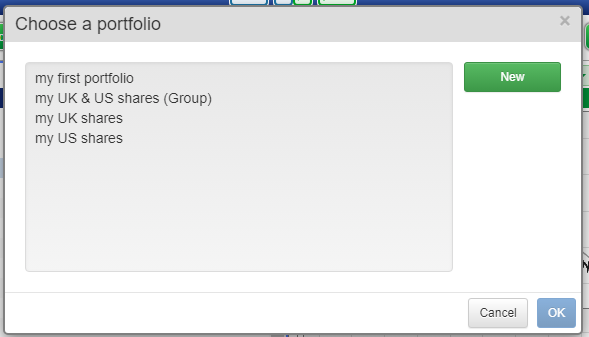 Click Add to add all of the found shares to the portfolio. 1. 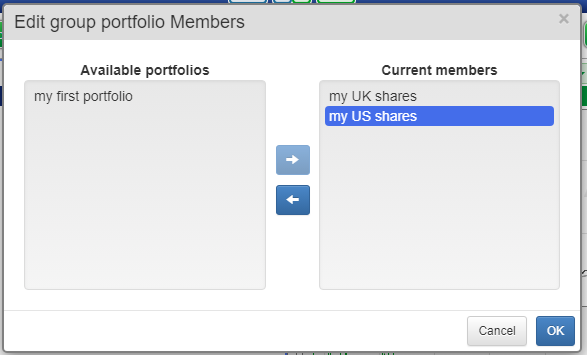 Select a share, then click Delete item. 2. 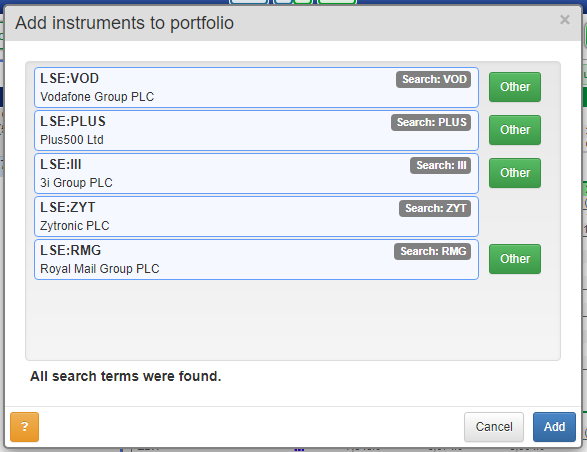 The share is no longer listed in the portfolio. 5. 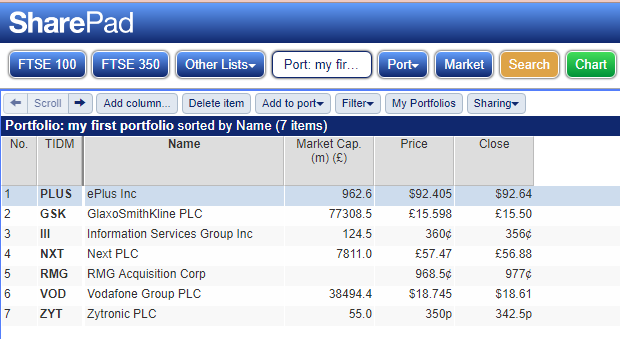 The shares from both member portfolios are listed in the group portfolio. 2. 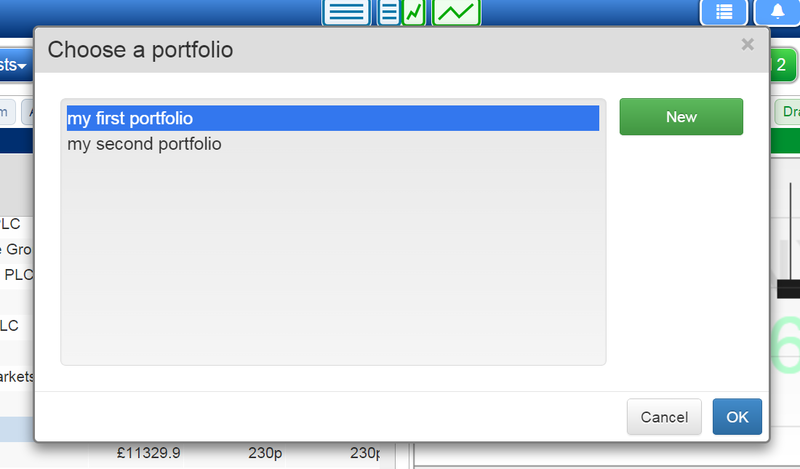 Choose one of your portfolios, then click OK.
4. 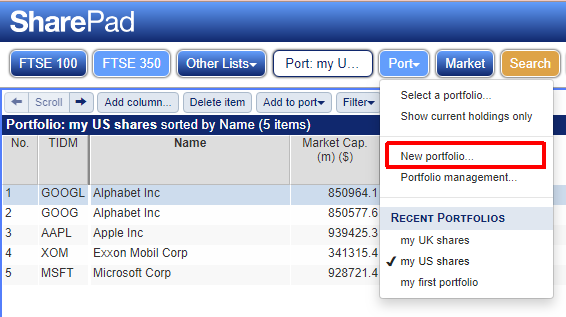 Or click the Port button to quickly go to the last portfolio viewed. 1. 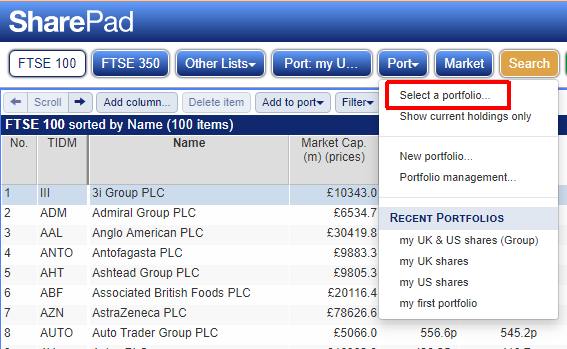 Open the Port menu, click on Portfolio management. 2. 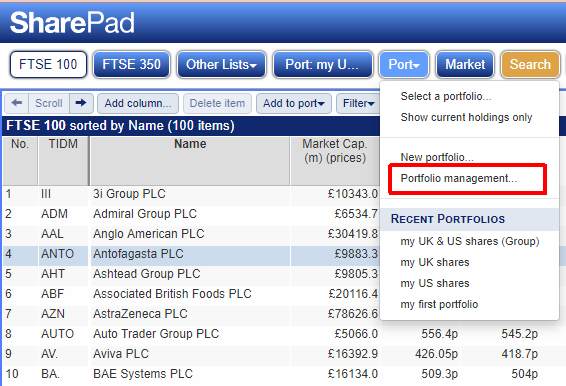 Select one of your portfolios, then click Rename to rename the portfolio, or click Delete to delete the portfolio.